Medical scientists have invented a new spinal fusion device to reduce chronic back pain, the most common reason for pain and disability in people aged under 50. An innovative new spinal fusion device that is simpler and cheaper than existing technology and avoids the need for more invasive surgery and bone grafts will enter human trials in 2016. 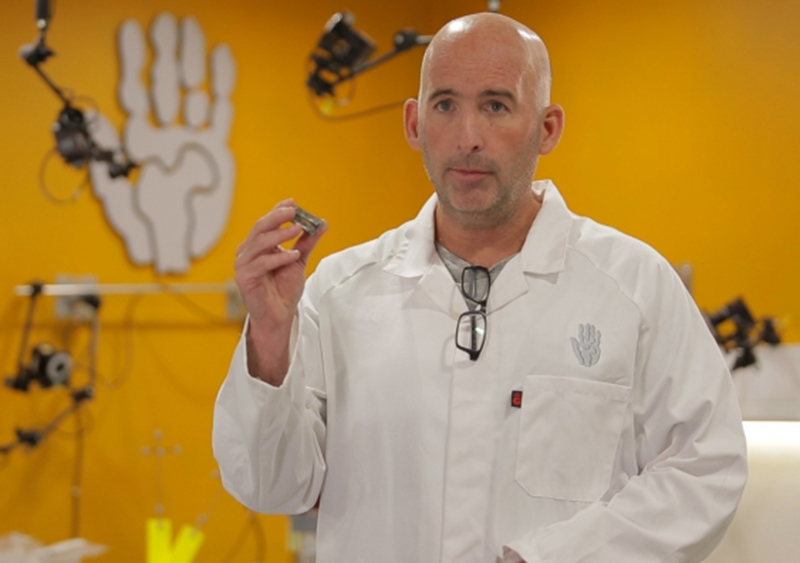 Professor Bill Walsh and his team of researchers and surgeons anticipate the innovative Thru-Fuze™ medical device will transform spinal fusion surgery, which is used when conservative therapies such as physical therapy, medication and injections have failed. The human trials, which are expected to begin at the Prince of Wales Hospital, Sydney in late 2016, have been made possible through $1.59m in funding from the NSW Government’s Medical Device Fund. One of the goals of spinal fusion is to stabilise the spine to prevent the extraneous movement that causes back pain. Chronic back pain from spinal disorders or degenerative disc disease is a major public health issue around the world and is the most common reason for pain and disability in people aged under 50. Professor Bill Walsh, surgical device inventor and Director of Surgical and Orthopaedic Laboratories at UNSW, said the device will allow faster, simplier surgery with minimal radiation exposure compared to current methods. “Existing methods of spinal fusion use rod or cage systems that require screws to be drilled into the spine and a painful bone graft harvested, which is the material used to form the bridge and obtain the fusion between the vertebrae in the spine,” Professor Walsh said. Existing methods rely on the bone to make its way right across the vertebrae and it can take up to a year to find out if the surgery has been a success. Non-union, or failure to achieve a solid fusion, has been reported in over 50% of patients using existing methods of spinal fusion." The Thru-Fuze™ device is innovative because it stabilises the spine without the need for a bone graft. Pre-clinical and laboratory testing in animal models by Professor Walsh’s team has shown fusion of bone on and through the device after it is placed between vertebrae, resulting in rapid ‘biomechanical’ fixation. Read more about Professor Walsh and his team's invention here.